At no time was my commitment to wildlife more clear to me. There he was, an orphaned tiny squirrel, eyes having just opened in the last week, reflexively and eagerly grasping at the syringe from which I was slowly feeding him the proper formula. He had a speck of blue liquid eraser on the top of his soft, little head so everyone providing care could distinguish him from his three littermates. Their nest had been destroyed in a storm and they were brought in by the good soul that found them on the ground and understood that their best chance for survival would be in the care of experienced wildlife rehabilitators. 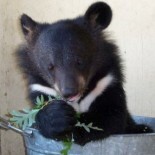 Eventually, he and his littermates were successfully released in the area in which they had been rescued. This furry fellow was one of many baby squirrels I fed while still an active wildlife rehabilitator. As he took his cute little sips, I was careful to remain silent. I wanted to preserve, as much as possible, his natural fear of humans. When you speak to wild baby animals in your care, cooing at them as if they were a human baby, you run the risk of imprinting them or simply stressing them. Not everyone understands the concept of imprinting but it is an undesired outcome of hand reared wild animals for whom we always have the ultimate goal of returning to the wild. A squirrel that will approach humans for food, because he learned humans are a safe food source as a juvenile, is at greater risk of being harmed by humans who do not understand why they are being approached. 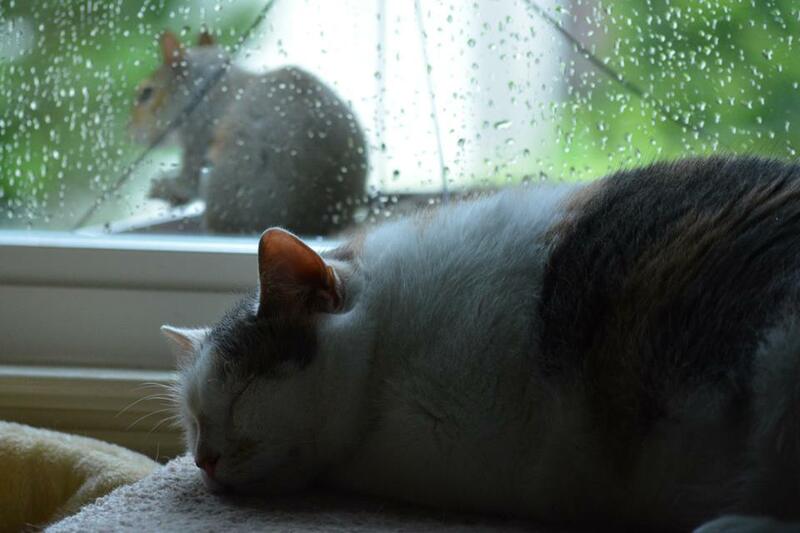 After all, squirrels are rodents. As adorable as this little guy was, I understand the disdain some folks have for squirrels, because I share their disdain. Frankly, I just tolerate the squirrels around my home because they are important to the ecosystem as seed dispersers and as food for birds of prey. I am proud to have this opinion in the face of chewed up flower pots, uprooted bedding plants, two gnawed upon crank loops on my retractable awning, nibbled decorative light cords which are now uselessly wrapped around deck railing, ravaged suet and bird seed feeders, shredded hibiscus leaves and an unceremoniously unstuffed cushion for a chaise lounge that has a replacement value of two-hundred dollars. Hardwood or mixed forests and in urban and suburban areas. Basically, in all types of environments and everywhere within their range of the eastern United States and southern Canada. Eastern Gray squirrels were introduced as a garden novelty in Italy, South Africa, the United Kingdom and Australia (extirpated by 1973 in Australia) and is considered an invasive species in those countries because it is out-competing native squirrels for food and nesting sites. Nuts, acorns, berries, flowers, bark, eggs, baby birds. Like other rodents, squirrels have four front teeth that never stop growing so they don’t wear down from the constant gnawing. Hence, the destruction of lots of personal property around my house. 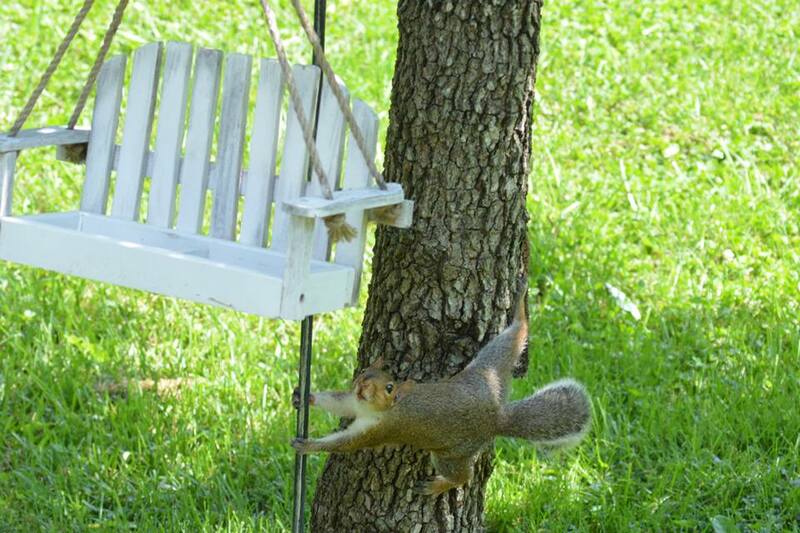 Wild squirrels live an average of 11-12 months because of their role as prey. One captive female squirrel was known to live 20 years. Squirrels store food for the winter in an activity known as seed-caching, which can include burying seeds. These activities help distribute more than 24 species of oak trees, 10 species of hickory, pecan, walnut and beech trees as well as maple, mulberry, hackberry, elm, chestnut, wild cherry, dogwood, hawthorn, black gum, hazelnut, hop hornbeam and ginkgo trees. 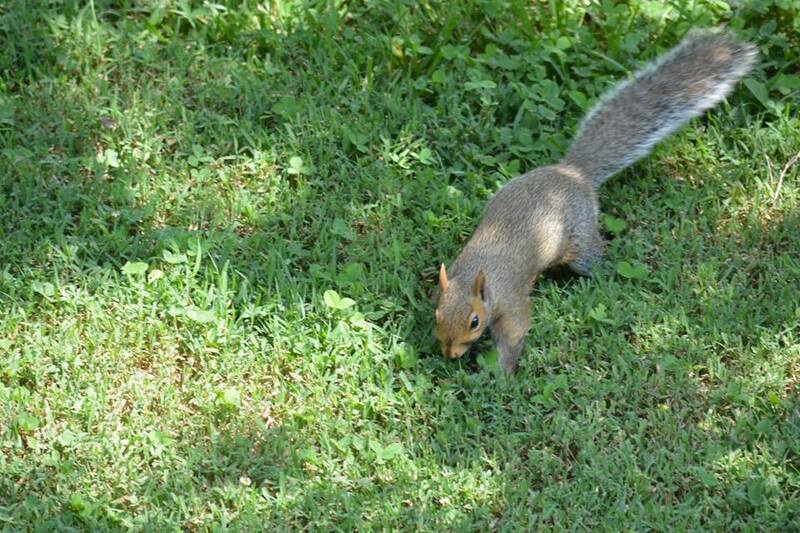 There are no conservation concerns for live squirrels as their numbers are plentiful. However, squirrel meat should be refrigerated for 24 to 36 hours until no longer rigid. Cut into serving size pieces or leave whole. Package, seal and freeze for up to 1 year. Own a lawn or garden. Believe it or not, there is a place where Eastern Gray Squirrels have special legal protections, as explained in this humorous video narrated by the beloved Sir David Attenborough. This entry was posted on April 15, 2014 by Maymie Higgins in Mammals, Maymie Higgins, Pollinators and Seed Dispersers, Wildlife and tagged eastern gray squirrel, seed dispersers.